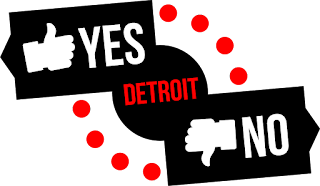 The screening I went to for "Unstoppable" was actually the third Detroit-area one (a previous one was at 2 p.m., which didn't work for me, and I was busy on the day of the other screening), but it was surprisingly packed. 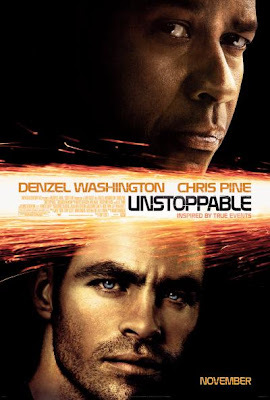 Perhaps it was because Denzel was in this movie, and movies with Denzel in it are usually good, or maybe it was Chris Pine, but whatever attracted moviegoers to "Unstoppable" proved to be a winner, as the movie was one wild ride. Frank (Denzel Washington, "The Book of Eli") has been working for the same train company for the past 28 years. Will (Chris Pine, "Star Trek") is a newbie conductor who still needs to ride with an engineer (Denzel's character) before he is allowed to pilot a train on his own. On this particular day, however, it's a good thing that Frank is with him, as they soon find out that there is a runaway train - with no conductor - on the same track as them; in fact, it's heading straight towards them. They manage to divert their train, but when they hear that the train is headed for derailment in the town that Will lives in, and that it could wipe out the entire town, they decide to take action and stop the train. Denzel and Chris Pine do a great job in this movie, but the main star of the movie is actually the train itself. We see shots of it from overhead, from underneath, from the side; I never thought of a train as evil before, but this film makes the train into an actual villain. As for supporting actors, Rosario Dawson ("Percy Jackson and the Lightning Thief") plays an office manager-type person at the train company who tries to help Denzel and Chris in their quest to the train to safety, and Ethan Suplee (TV's "My Name is Earl") plays the train worker who left the train unattended, thus putting it into high gear on its trip into destruction. Yes, see this film. What's funny is that the story is so fantastic that if I hadn't known that it was based on a real story, I would comment on how unbelievable it is. The movie chooses to focus more on the action of the train, and the paths it's hurtling into, rather than a complicated plotline, but it works for the movie. This was probably the fastest-moving (no pun intended) movie I've seen in a while, and throughout it the rest of the audience and I were on the edge of our seats, wondering if the train was going to take out an entire town or if Denzel and Chris's characters would be able to stop it in its path. "Unstoppable" will be in theaters on November 12th. I loved this movie and you are right, I was on the edge of my seat. There were scenes where I actually jumped and I never jump at movies because most of the time they are predictable.